It’s been awhile since I’ve reviewed a jarred salsa. 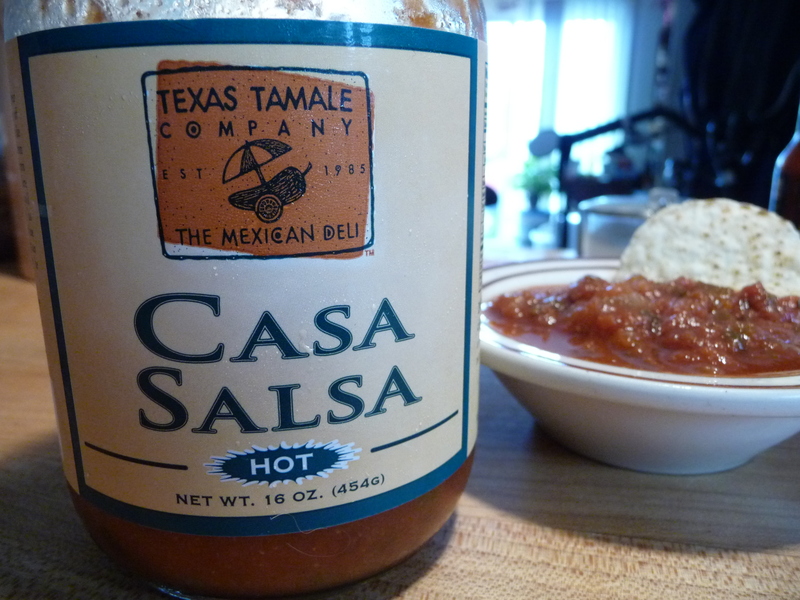 The Texas Tamale Company and Brazos Legends sent us this jar of Casa Salsa for review, and while I’m not sure who or which company is making this stuff, I enjoyed eating it and writing this review. Texture & Appearance: – Nice medium chunky salsa with a good bit of sauce to keep things on the thick side. Taste Straight Up: – Full mouth feel of spices, heat and flavor. There is a big hit of a “Texas Chili” flavor thanks to the cayenne pepper and cilantro. I was surprised to not see chili powder in the list. 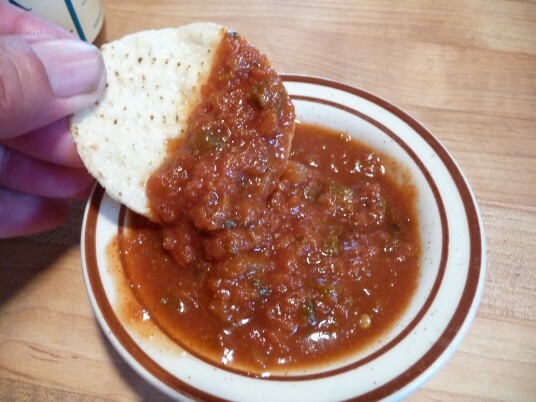 Heat Level: – For having only jalapenos in the mix for heat, this salsa, labeled “Hot” brings the heat. Not too hot, just about right. Great for chips and dip while watching football. Label/Graphics: – Simple graphics and label. Called “Casa Salsa”, which I assume means “House Salsa”, there is a Texas Tamale Company – Est. 1985 logo, with “The Mexican Deli” under it. I’m afraid Texas Tamale Company / Brazos Legends is suffering from an identity crisis. Who makes this sauce? What is the brand name? I’m confused. Going to either website will ultimately take you to the same order page. Overall Rating (Taste on Food, Final Thoughts): – Because of the names and websites, I can’t honestly ask any Chilehead “Do you like the Texas Tamale Company’s Casa Salsa” OR “Do you like the Brazos Legends’ Casa Salsa”? Which is it folks? All in all, it is one of the best jarred salsas I’ve tried in awhile. Great taste, nice heat, good flavor and texture. A can’t miss winner in my opinion. I just wish they’d pick a name and website and stick with it. And perhaps re-do the label to be a little more spicy! It’s been a while since I’ve had a jarred salsa, we’ve been making our own fresh all summer but those fresh veggies are going to be not so available soon. Might have to pick up a jar or two. It’s worth a try. So many grocery store jarred salsas are crap. We also have a handful of other salsas lined up for review. I might use your idea to post them after the last of the fresh veggies have been harvested and eaten. Hello, Gringold salsa is a boot strap company ran by two guys in San Antonio Texas. We are just getting started and our website will be up in a month or so. But we have three salsas we would like you to try out and give us your opinion. We have the basic Gringold salsa verde, then our rojo, and finally our east meets west. Please let me know if your interested, we would love to send you some.